Beautifully remodeled townhome! 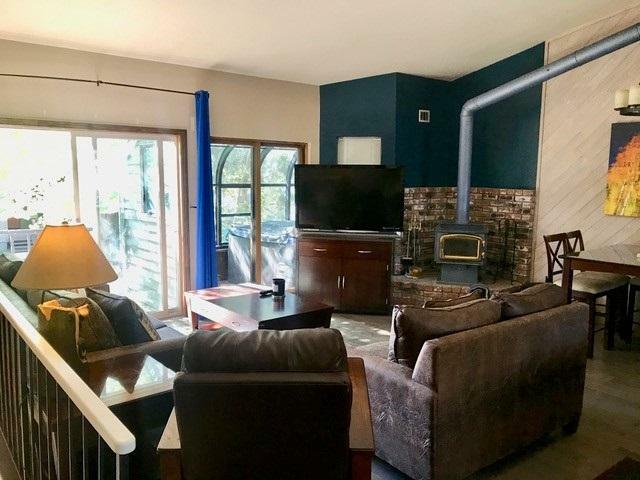 Move right in to this south facing 2 BR/2.75 bath townhome (no one above or below you) in the desirable Forest Creek complex. Park right in front of the unit and enjoy your own private entrance. This lives like a home. Hardwood floors, new furnishings, carpet downstairs is 2 years old. Close to the town/ski shuttle and town bike path. Two bedrooms downstairs, each with its own en suite bathroom. Washer/dryer downstairs. Upstairs has vaulted ceilings, large, open kitchen/living/dining area and full bath (toilet, sink, shower). Lots of storage including outside closet. Enjoy your own hot tub in your private solarium! HOA includes cable!